My snacking recently has been out of control in the worst way. You don’t even want to know how much chocolate I downed on Valentine’s Day. Seriously. And since I have to fit in a bridesmaid dress in about two months, I’m making more of an effort to curb the junk food and reach for healthier snacks. This was a healthier snack/dessert that went over really well. It’s just the right amount of sweet without being loaded up with sugar. I really loved this with sliced up bananas! 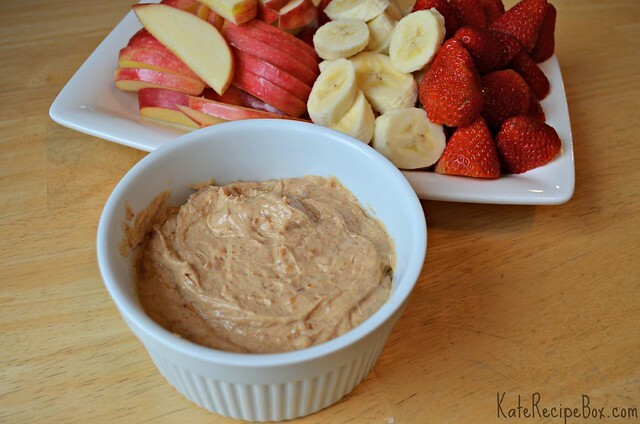 Mix together yogurt and peanut butter. Stir in honey, starting with 2 Tbsp. and adding more until it suits your taste. Stir in cinnamon. Refrigerate until serving. You’re gorgeous the way you are kate!